reg? Bedford VAL14 . Plaxton Panorama C51F. 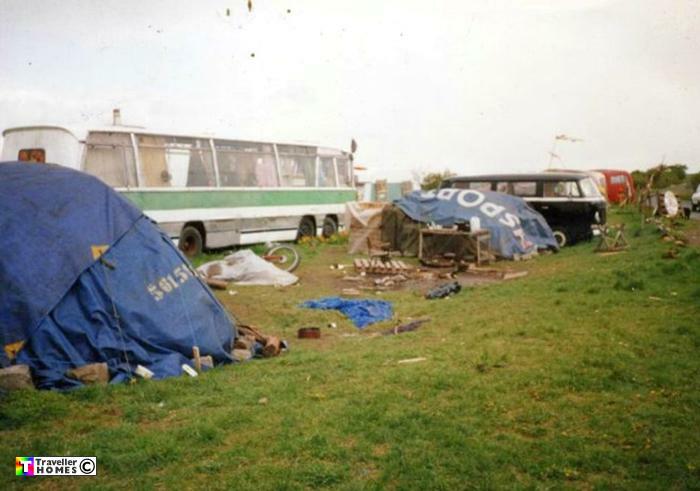 Ex- Seen 1987 Menwith Hill Peace Camp . Photo = Paul Brader .